My new book, Stop Paying Out! is available now in paperback – and on Kindle on 25th March. 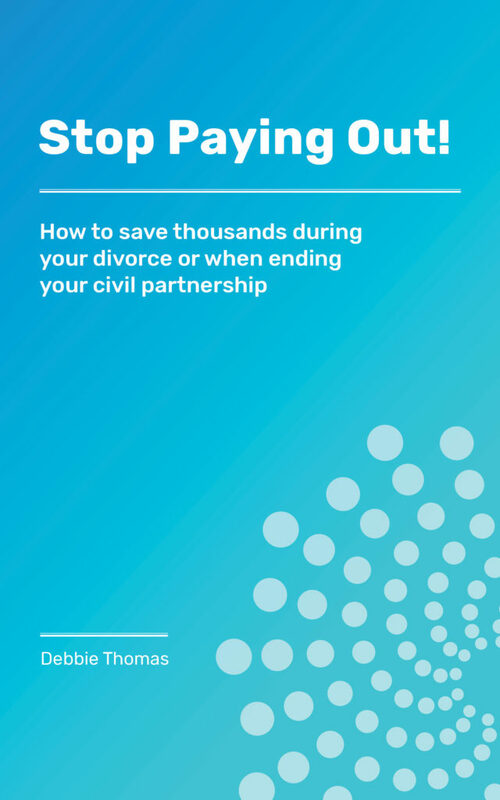 This insightful new guide will show you that it is possible to radically reduce what you pay for when ending your marriage or civil partnership – whether you use a lawyer or decide to handle all or some of your case yourself. It will show you tried-and-tested techniques to slash thousands from your legal spending – and much, much more. Find out more about Stop Paying Out! and order your copy here.